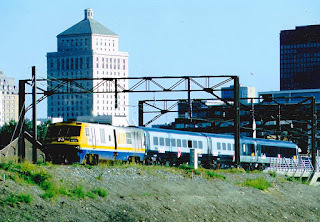 Fellow blogger Chris Mears posted his impressions about my books on VIA Rail, going waaay back to Trackside with VIA - The First 35 Years. It was December, 2011 when Chris first sent me an email about some of the discoveries he made, "Good evening Eric. I was leafing through Trackside With VIA when I discovered some really great GO consists. The first ones I saw were toward the back of the book and I'll admit that quoting the cliché of "Christmas morning excitement" is akin to what I felt as I headed to the section on the '76-'81 consists." I share that excitement, Chris! It, and responses like this one from good folks like you, are what make this journey so interesting, so rewarding and so enjoyable. I remember reading my copy of Eric Gagnon’s first book on VIA Rail in a hotel room in the early morning hours of the day in the company of a friendly mug of hotel coffee, quietly as the sun rose and privately while the city considered how it might start its day. The book had arrived just in time to tag along on a road trip and I remember vividly how exciting it was to leaf through page-after-page of train consist data. I love exploring data. Any data. On the surface “the data” can sound like such a dry and uninteresting commodity yet it comes alive once you spend some time getting to know it. The more patiently you listen, the more passionate that once emotionless voice becomes as it rises to tell its story like the breathe that effortlessly becomes a opera. I remember how exciting it was to pick a particular car number and then search through the book to see how often it would appear on that particular train or if it ever appeared on another service. With each reading and then re-reading, I’d discover some new treasure like the many special consists Eric included – who knew that tucked neatly into the pages of a book dedicated to VIA Rail trains I’d find consists belonging to commuter train consists from Montreal or Toronto?! Thank you for investing in these, Eric, and making them available for us to enjoy. Like watching a trip unfold through the windows of a train car, I’m looking ahead hoping to catch a glimpse of what’s to come. Here is Chris' original post. 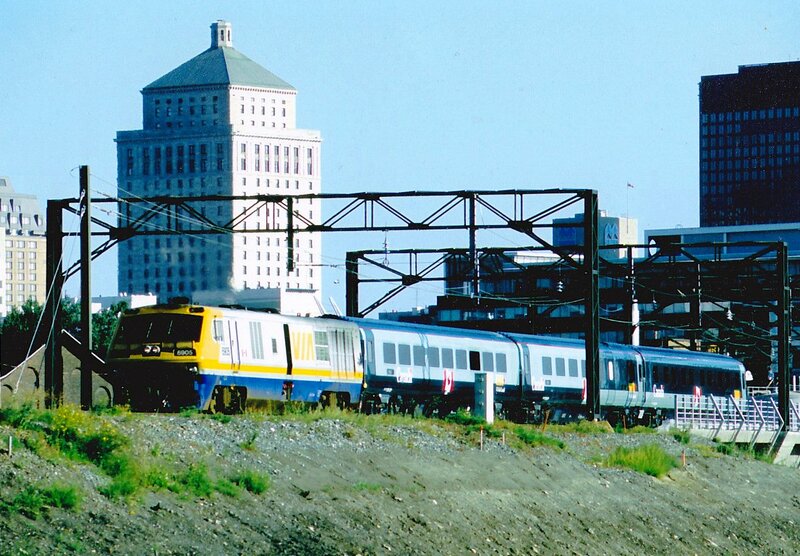 I'm grateful to Chris for the top photo of VIA 6905 at Montreal with the Renaissance demo cars, which appeared in my second book.